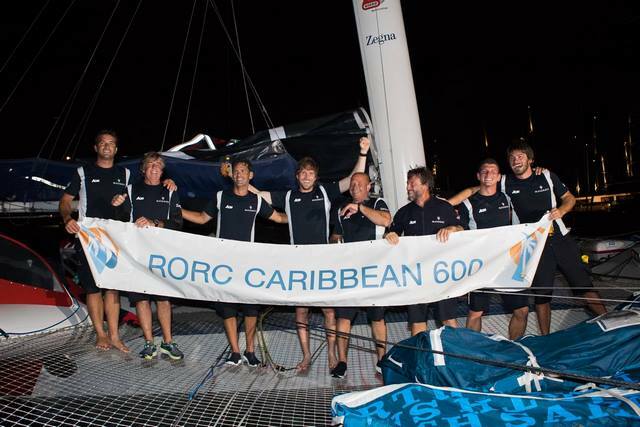 Maserati Multi 70 skippered by Giovanni Soldini (ITA) crossed the finish line of the RORC Caribbean 600 at 20:49:00 AST on Tuesday 19 February 2019 in an elapsed time of 1 day, 06 hours 49 minutes and 00 seconds, taking Multihull Line honours and setting a new Multihull Race Record in the 11th edition of the race; beating the previous record by just over one hour. Maserati Multi 70 crew: Giovanni Solidni (ITA), Vittorio Bissaro (IT), Guido Broggi (IT), Carlos Hernandez Robayna (ESP), Oliver Herrera Perez (ESP), Nico Malingri (IT), Matteo Soldini (IT) Claude Thélier (FRA). The extraordinary events surrounding the battle for Multihull Line Honours will be remembered for years to come. 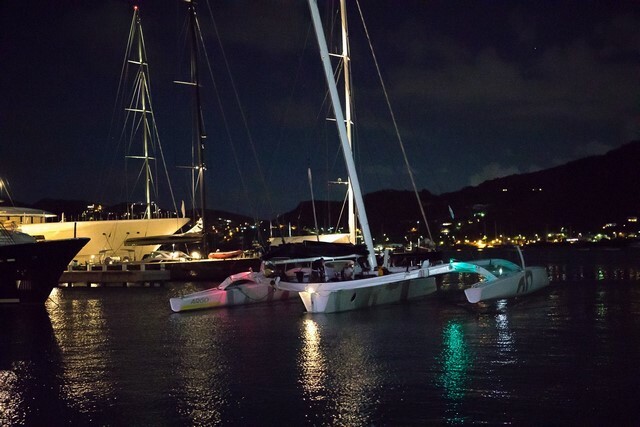 Just 48 hours before the start of the 2019 RORC Caribbean 600, Jason Carroll's MOD 70 Argo (USA) capsized at high speed in training. 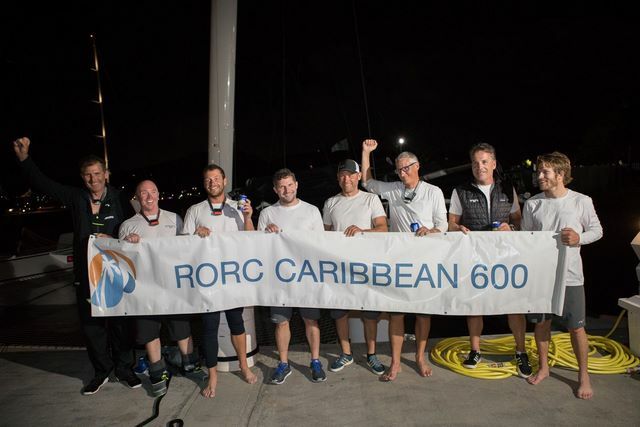 It seemed impossible that Argo would be racing, but after a monumental effort by the sailing community in Antigua, Argo's crew and shore team, Argo miraculously made the impossible a reality. On the day of the race start, Giovanni Soldini agreed to a two hour delay at Argo's request. 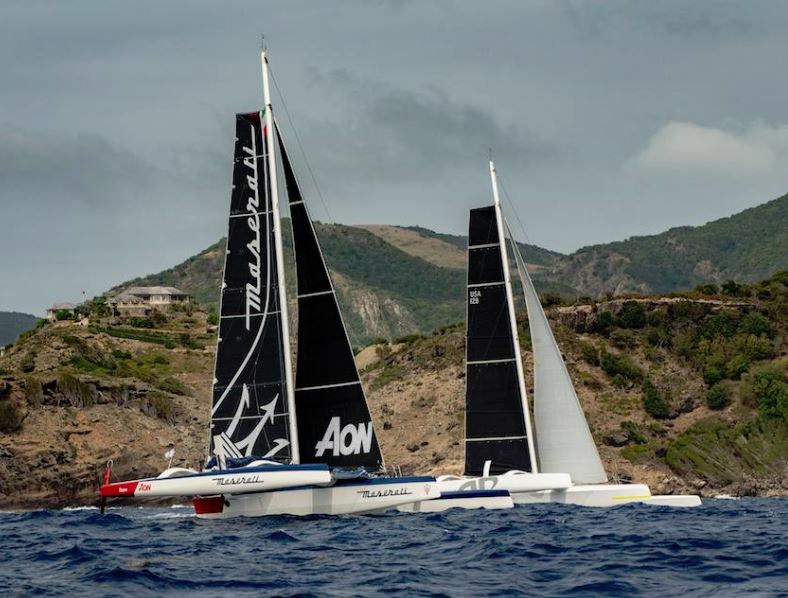 An epic match race was to follow over 600 miles around 11 Caribbean islands, racing day and night, both multihulls recording over 30 knots of boat speed. At Redonda, the final island of the course, Argo made a great tactical move to close the gap on Maserati and an intense match race provided the final twist to this fantastic story. Soldini's Maserati held off Argo to win by just over seven minutes, after 30 hours of explosive action. Both Maserati and Argo broke the race record and the former champion skipper, Lloyd Thornburg congratulated both skippers on their achievements as they arrived back on the dock in Antigua. "It was amazing that this race even happened. It was the first time in history that a multihull so big came back from a capsize like that - incredible. I was very happy to agree to delay that start, to race against one of the best teams in the world," commented Soldini. "We had a wonderful race, very windy, very fast, with very good manoeuvres from both teams. We had some technical problems at Guadeloupe, we could not use our Solent for five hours and we had a small problem with one rudder, but it was a great fight. After Guadeloupe we could see Argo all the time and they were getting bigger and bigger with our problems, but we had a good lead and we kept calm and solved the problem. From Redonda to the finish we used classic match racing, trying to keep ourselves between Argo and the finish." "It was a miracle that we managed to recover the boat without any major damage. 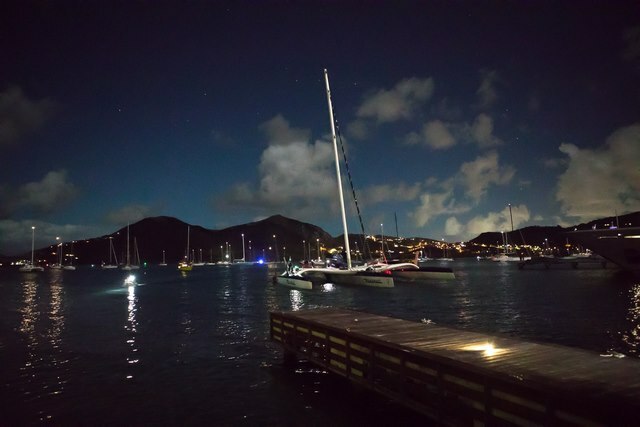 We had so many people help us out in Antigua and also from Newport, Rhode Island, and my team worked 24-7 to get the boat back together," commented owner of Argo, Jason Carroll. "We took it hour-by-hour to see if we could get to a situation that we could race responsibly, and when the sun came up on race day, we were ready to go. The race was awesome. We were a bit disappointed to let Maserati slip away at the beginning, but we came back into them at the end. We wanted to get as much leverage as we could after Redonda. Maserati tacked immediately which is typical for the course, and we headed towards Montserrat, which I think surprised them. We got a reasonable split but they tacked to cover us. After that we tried to separate from them to see if we could make some opportunities. We had been racing for 29 hours and at the end it was pretty close. We gave it 101% even after all those hours of little sleep. This is a great race and Antigua has a great community and the Race Committee and Giovanni were super accommodating for us to make the start. This is an excellent event and I hope to come to many more. Racing Maserati so close at 30 knots of boat speed scares you a bit, but it is very exciting," continued Carroll. "The race was just perfect with a lot of transitions, good speed, good wind and wonderful islands to go around," commented Francois Gabart. "I only met the Argo crew a few days ago, they are a wonderful crew. This was the first time I have sailed after the Route du Rhum. I love to working with the Macif team, but this race was just perfect to get back to sailing on a fast boat and on a beautiful race course. This has been an adventure and something I will remember for all my life. I am really proud of what this team has done. It was a good experience and I think that a sailor needs to capsize once in his life - I have done it and I hope it is just done and I never do it again!"